The difference between the success and failure of your business can come down to having the relevant equipment for your business activities. Do you need medical machines, data processing equipment, heavy machinery, trucks or computers? We all know that the cost of acquiring this equipment can be expensive. Yet the opposite, failing to acquire the equipment you need, can be far more damaging to your business. At Empowered Finance we provide the simple, transparent and fast financial support you need to connect you with the most appropriate lender so that your dreams never have to take a back seat. Similar to a car loan, your commercial equipment can serve as collateral security for your financing. This means that the chances of getting approval for a commercial loan are much higher with equipment lending. Ignore your credit rating concerns, because Empowered Finance can find a solution that suits your credit rating, your goals and your financial situation. If you have a vision, we’ll help you come up with a plan. Empowered Finance advocates for what you want, over what your lender wants. Our knowledge, experience, skill, and influence allows us to present you in the best light and negotiate the most favourable equipment finance solutions. Our broad base of top equipment finance companies creates competition, with each trying to offer the best commercial conditions and interest rates. As a result, each client can expect the most competitive equipment finance solution. Empowered Finance can assist you in securing deals you wouldn’t otherwise have access to. At Empowered Finance, our client base is our lifeline. We do everything we can to ensure that you are happy, satisfied, and become a long-term client. We thrive on repeat business and remain as passionate as ever about finding financial solutions for our long-term clients. Nothing gives us more satisfaction than securing a new client and working with them for the long haul. As a business owner, you probably work beyond the regular business working hours. Similarly, you require a financial partner that can come to the site after-hours or even on weekends. Empowered Finance can manage your project to ensure that all the necessary aspects of your equipment finance are in order. We can arrange the documentation, insurance, invoices, signing, and the ultimate settlement. At Empowered Finance, we do more than just save you money and find the most competitive interest rates for equipment financing. We also focus on exposing you to financial products that can help your business make more money and build itself. Keeping constant contact with our lenders keeps us up-to-date with the latest products in the market. Complete the equipment financing application form. You can also submit additional financial statements such as tax returns and financial statements. Send us an estimate of the equipment you intend to buy. You can also create a wish list and present it to us. We will review your application and wish list. Your financial statements can tell us your business’ current financial position, whereas your wish list can show us the funds you require. We can contact you in less than 48 hours to discuss your business needs and help you secure the most suitable equipment finance. We can narrow down the potential lenders to at least three or four and allow you to choose the most suitable for you. Equipment finance is a way of helping businesses access funding without tapping into their working capital. The interest rates for equipment lending are currently lower now than they have traditionally been. Additionally, most equipment finance companies take the equipment you purchase as collateral security for the loan, making loan applications simpler. With good business credit, you can secure up to 100% financing for a repayment period of up to 7 years. In some cases, the lender may ask for a 20% deposit as they finance the remaining 80% of the equipment. However, working with our seasoned financial specialist at Empowered Finance we can significantly expand your options. Did you know that bad credit does not hinder you from getting equipment financing for your business? Empowered Finance works with companies that provide options for equipment finance with bad credit. However, you should have no bankruptcy files, and your business should have the ability to process credit card payments for its customers. Where can I find equipment financing loans? This depends on your current credit score. Potential lenders usually acquire this from your current bank and people you have done business with in the past. Knowledge about your payment habits and the overall outcome of the previous loans is essential to an equipment financier. Where can I find out about rates? Good credit can enable you to get equipment finance at lower interest rates. With bad credit, you can still access equipment financing, even faster than you would with a traditional loan. However, you may have to pay a little bit more in interest rates. Why choose Empowered Finance for your next equipment loan? As experienced finance brokers, we know precisely how finance companies work. This makes it easier and more convenient for us to do the legwork. Utilising our services can save you the back and forth in preparation. Which means dedicating your time to improving your business activities instead. 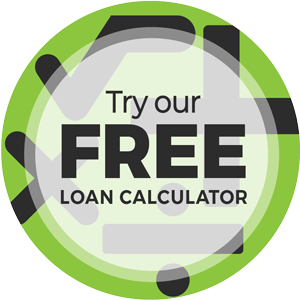 Our services are free of charge as we are paid in commission by your chosen lender. Your business won’t have to set aside expenditure to pay for our services. However, the fact that we do not charge any fees does not compromise the quality of our services. We can excellently match you to a lender that can deliver all your equipment financing needs. At Empowered Finance we understand that you and your business are more than your credit score. Therefore, we never write any client off for having bad credit. We can link you with lenders that have bad credit equipment finance options. Additionally, we paint you in the best light and negotiate for the best rates possible. Unlike banks that have fixed working hours, Empowered Finance can work after hours and weekends. You do not have to worry about the banks closing before you get to them since our terms are typically more favourable than those of the mainstream banks. We can come to you, assess your requirements on site, and match you with the right financier. At Empowered Finance we can guide and advise you on the right equipment finance options for your business. However, we do not decide for you. After listening to you and evaluating your needs, we can link you to a minimum of three lenders with the best deals in the specific category. You can choose the one you want. Imagine leaving your business premises to talk to your bank about equipment financing, only to find long queues. Empowered Finance can save you the hassle and simplify credit for your business. Even better, you don’t have to leave your business premises because we can come to you.